Start with a surface as unique as your artwork! 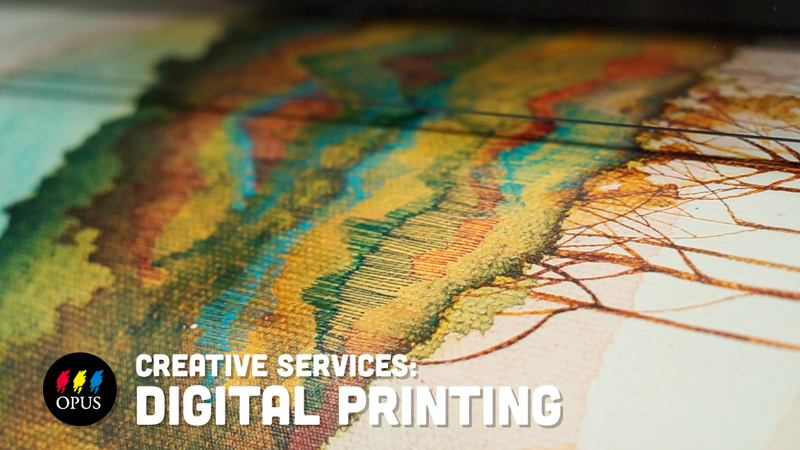 Allow Opus to create your custom canvas and panels, all made right here in British Columbia. At Opus, we offer custom painting surfaces to meet a variety of artistic needs. We are proud to to offer professional-quality, locally produced products - Custom Stretcher Bars, Stretched Canvas and Linen, Cradled Wood Panels, Artboard, and Aluminum Composite Panels - made right here in British Columbia to your exact specifications. And a bonus: Opus PLUS Members receive 5% off regular prices, and quantity discounts are available with all custom surfaces orders. Each Custom Stretched Canvas and Linen Surface starts with pine stretcher bars in a depth of ¾" or 1 ½", created in the exact manner as our fixed strainer frames, outlined below. Your choice of canvas or linen, available in raw and primed in several weights, is professionally stretched over the frame, creating a superior surface on which to begin your work. Custom stretched canvas and linen are available in a minimum dimension of 8" x 8" and up to a maximum dimension that varies from 55" x 96" to 78" x 96" as determined by the width of the fabric off the roll (please refer to our pricing sheet PDFs at the bottom of this page to see the maximum size for your selected surface). Whether you prefer to stretch your own canvas or have it ready to go straight from Opus, we've got you covered. For the the versatility and freedom of stretching your own material, Custom Stretcher Bars, in ¾" or 1 ½" depths, are cut to your specs. We construct your stretcher frame for you, securing the corners with gussets to strengthen and square the joints to create a fixed strainer frame. Custom Stretcher Bars available in a minimum dimension of 8" x 8" and up to a maximum dimension of 96" x 96". Custom Stretcher Bars allow you to prepare the wood with a sealer prior to stretching to protect your canvas or linen substrate, adding to its longevity. See the video How To: Stretch a Canvas for more information on best practices on preparing stretcher frames and stretching canvas. For information on preparing your Custom Stretched Canvas or Linen for your chosen medium, see our video Surface Preparation: Sizing & Gesso. 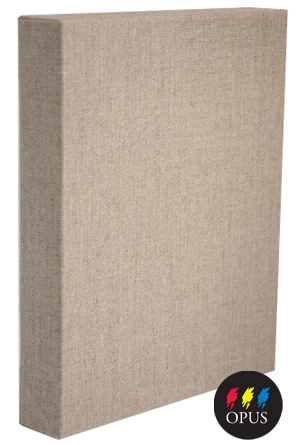 Note: We also offer readymade stretched canvas, created exactly as is our custom stretched canvas: Opus Finest Raw Stretched Canvas. This is available in 4 of our most popular sizes on a 1 ½" depth strainer. Panels are the ideal choice when your chosen medium or methods may benefit from or require a rigid substrate. The Opus Custom Surfaces Service offers Cradled Wood Panels, Artboard, and Aluminum Composite Panels. Premium ¼" thick birch plywood is backed with pine bars to create our sturdy and heavyweight Custom Cradled Wood Panels, constructed with attention to detail and durability in mind. The 1½" deep pine frame supports the smooth plywood surface, for a finished panel depth of 1¾". The wood is unfinished, allowing you to prepare the surface with the ground best suited to your media first. They are a perfect product for any artist looking for a rigid and smooth surface to work from, along with solid construction that helps ensure longevity. Custom Cradled Wood Panels are available in a minimum dimension of 8" x 8" and up to a maximum dimension of 55" x 55", with larger sizes cross-braced for added structural support. Note: We also offer ready-made cradled wood panels, created to the same standards as our custom panels. Opus Finest Cradled Wood Panels are available in 4 of our most popular sizes on a 1 ½" depth strainer. You can also purchase the same premium plywood used to face our Custom and Finest Cradled Wood Panels as a pre-cut board without the cradle frame. Opus Pre-cut Birch Plywood is available in 12 sizes from 5" x 7" to 22" x 28". Custom Artboard combines the choice of custom sizes with the convenience of a prepared and rigid surface. This economy-grade surface consists of untempered hardboard coated with an acrylic primer on one side. Custom Artboard is available in a minumum size of 5" x 5" and up to a maximum size of 47" x 95". Aluminum Composite Panels are composed of two aluminum sheets, painted white, that sandwich a black polyethylene core making these panels very light and dimensionally stable. They can be used in a variety of ways, but have been especially popular as a stable and light weight mounting surface for photographic works. These panels are great to experiment with as they can be prepared to accept material ranging from spray paint to oil based paints. Custom Aluminum Composite Panels are available up to a maximum size of 47" x 95". 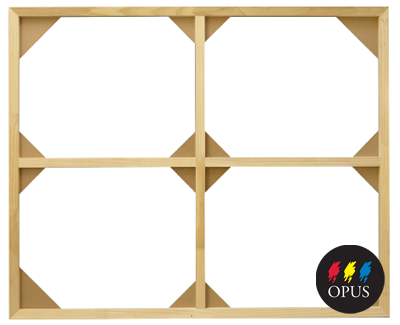 Note: We also offer readymade Opus Art Board in convenient pre-cut sizes. You can place your custom surfaces order in person at any one of our seven stores throughout BC: Coquitlam, Downtown Vancouver, Granville Island, North Vancouver, Langley, Kelowna and Victoria. If you'd like your order shipped directly to you, our Mail Order Department is here to help. Please note that surface sizes larger than 39" do not lend themselves to shipping, please see our Shipping Exceptions information or speak with our Mail Order Department for further details. Curious? Opus staff are happy to assist with any questions you may have in-person or by phone, please contact your preferred location to learn more. Staff can work with you to help determine which option is best for your needs, particularly if you have not ordered custom products before.